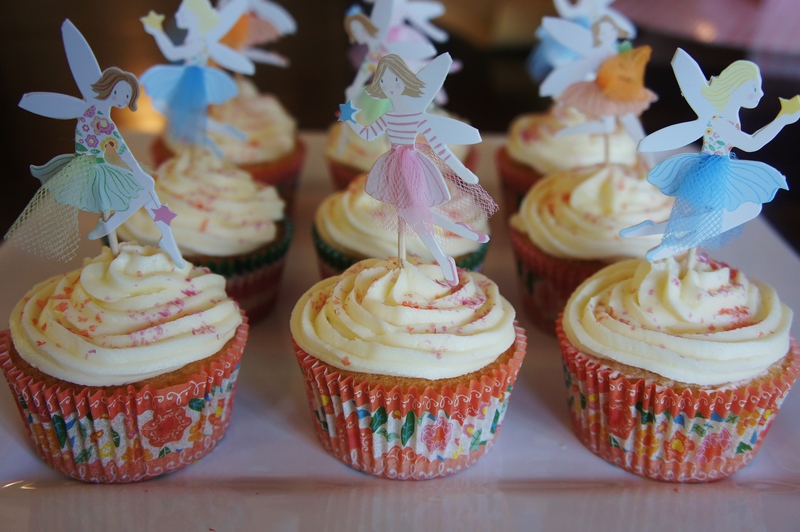 Any who, enough about that, here is a recipe for vanilla cupcakes topped with vanilla buttercream. 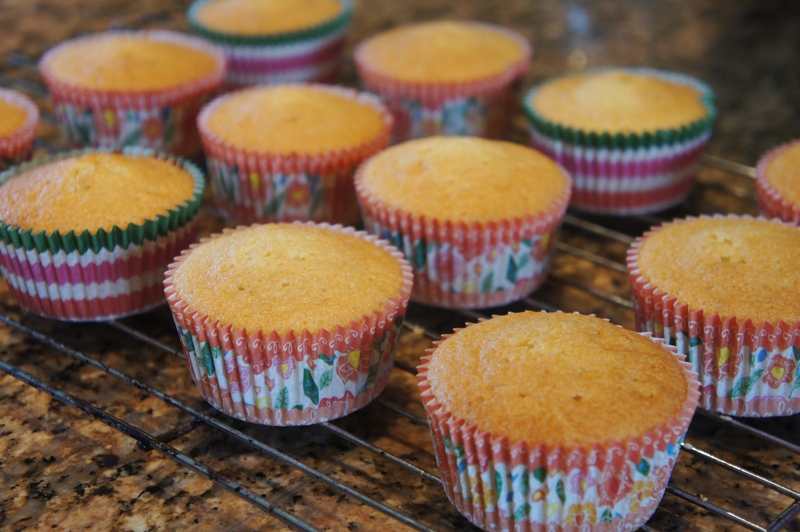 For anyone who is a beginner at baking, vanilla cupcakes are a good place to start and even now I only feel like I’ve actually cracked it! Soft, moist buttery sponge and a ‘not too sweet I’m going to make your teeth crumble’ creamy, fluffy vanilla buttercream. 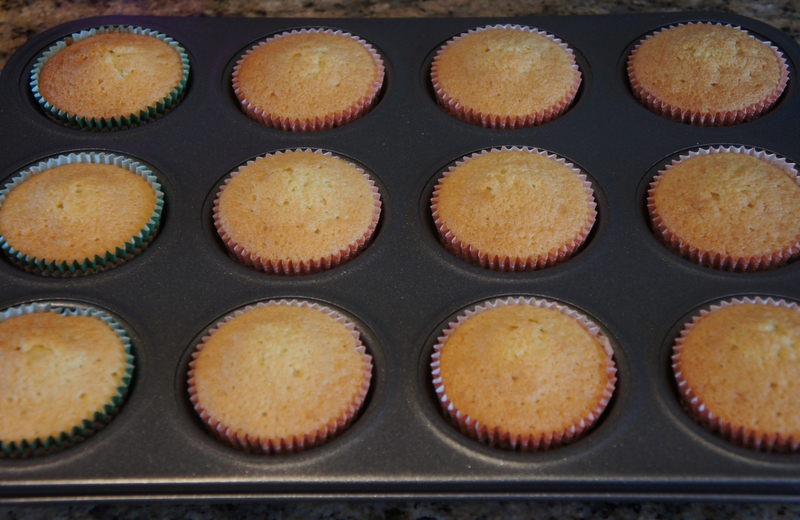 Preheat oven to 180C and line a 12 hole cupcake tray with cases. Make the sponge mixture by first creaming together with a wooden spoon the stork and sugar until smooth, creamy and fluffy. Then slowly mix in the beaten eggs along with a little flour each time to stop the mixture curdling. Once eggs are all added, add the vanilla extract and mix. Finally, fold in the remaining flour and milk until mixture is combined, smooth and drops of the spoon easily. 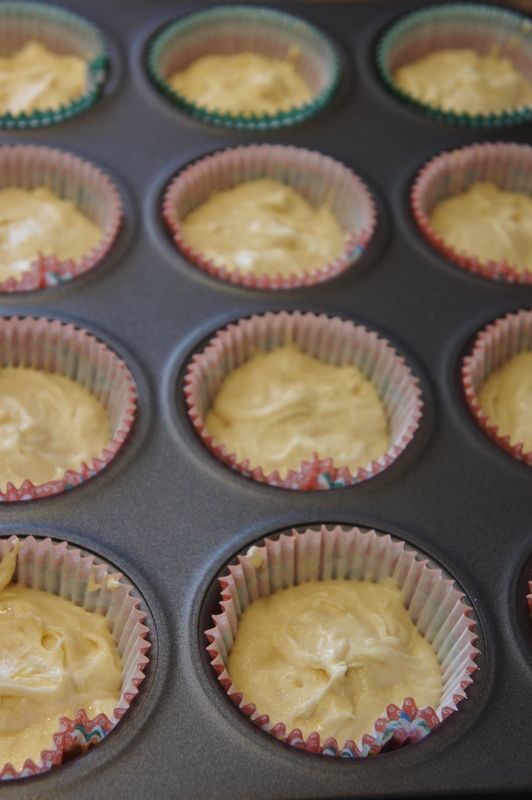 Bake in the oven for 17 mins until cakes are a golden brown colour and a skewer in the centre of one comes out clean. Transfer cakes to a cooling rack and leave to completely cool. 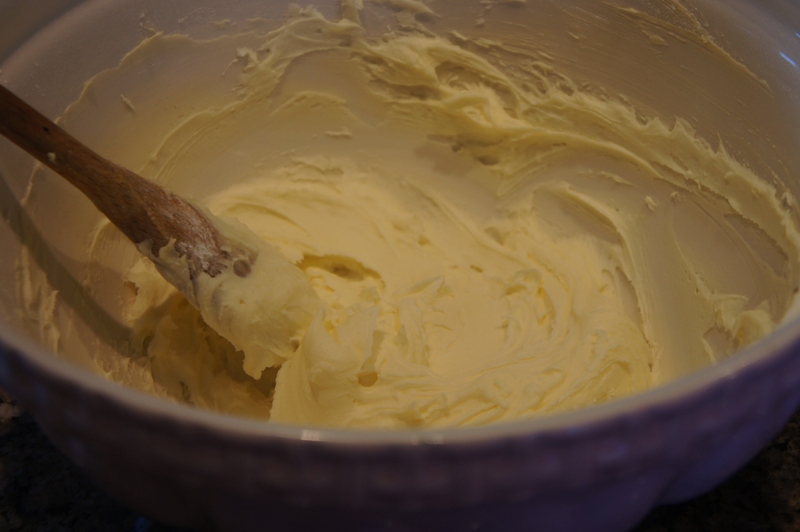 Now make the buttercream by creaming the butter until pale in colour and fluffy. Add half the icing sugar in and mix until creamy and combined. Add the remaining icing sugar and vanilla extract and beat together for approx. 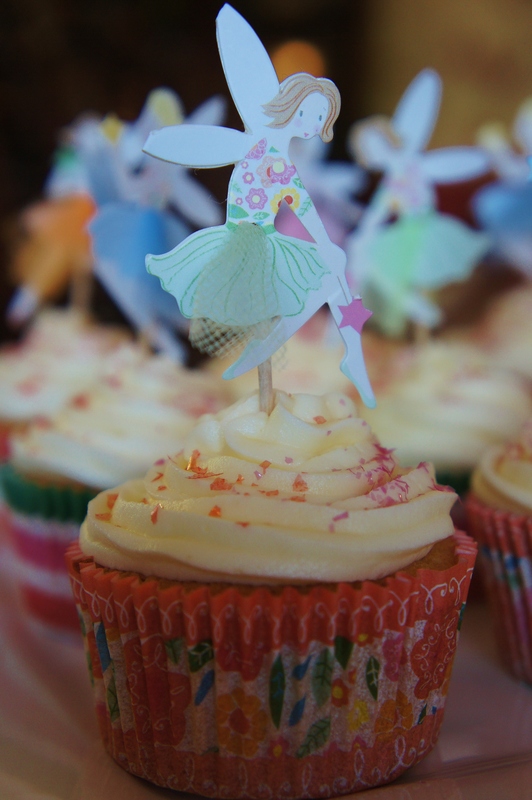 5 mins until buttercream is soft, smooth and fluffy. 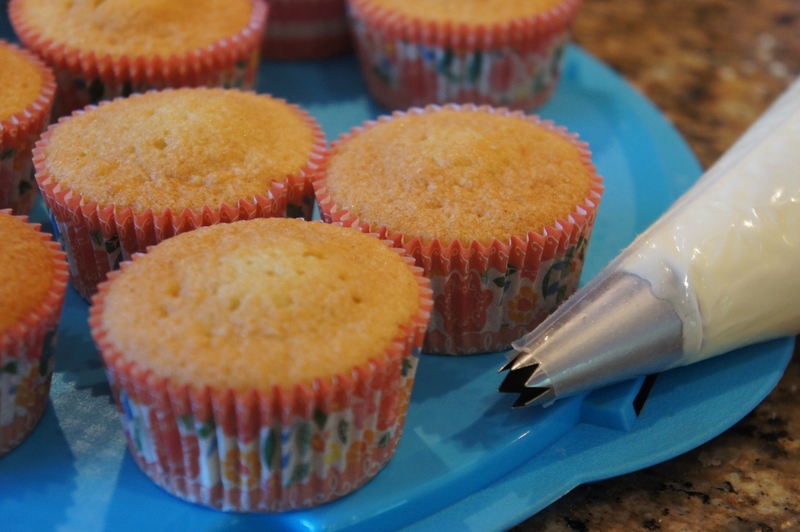 Using a star tip nozzle and a piping bag. Pipe your buttercream starting from the outside spiraling inwards. 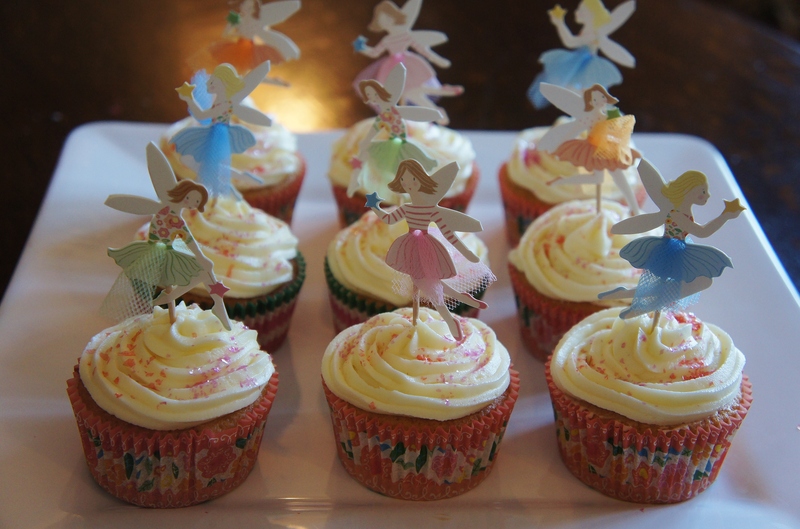 Decorate as you wish- that’s the fun part! 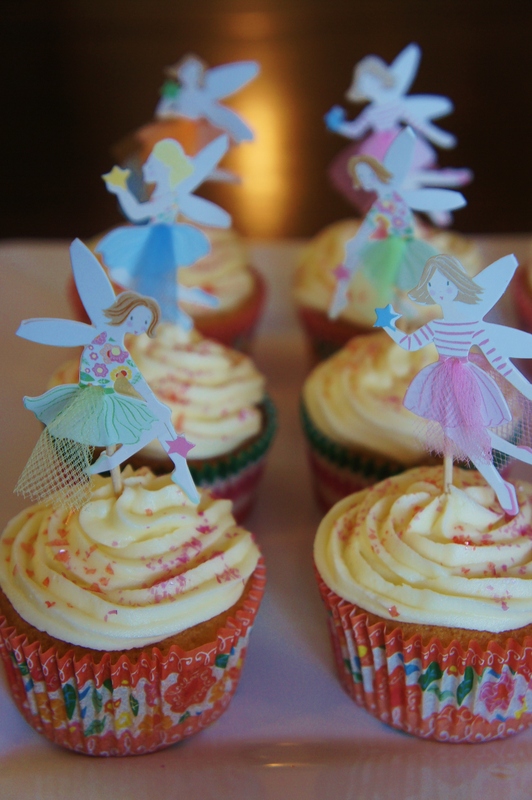 I sprinkled edible pink glitter on mine and used my Meri Meri fairy decorations.